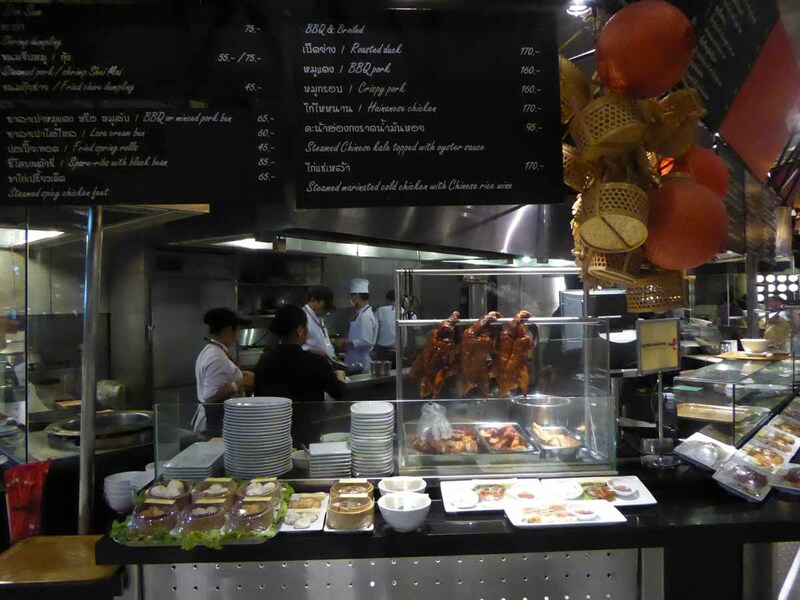 Food Loft is an upmarket food court on the 7th floor of Central Chidlom Department Store. The open kitchen concept features many cooking stations each specializing in a different cuisine. Each station has a chalkboard menu above it and displays models (Japanese style) of the menu items. 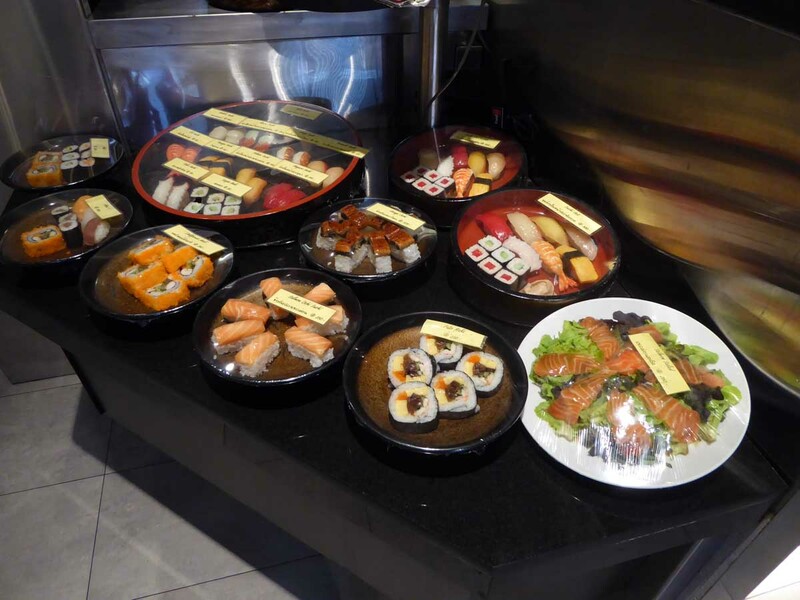 The stations at Food Loft are Thai, Japanese, Korean, Chinese, Indian, Italian, Lebanese, Vietnamese, grilled food, Desserts, Beverages, and a monthly guest cuisine. There are plenty of vegetarian options. All the stations are run by established Bangkok restaurants. Some stations have counter style seating where you can watch your food being freshly prepared or you can take a seat in the dining area where your food will be delivered by a waiter. Service is quick and your meal is usually delivered in 10-15 minutes after ordering. 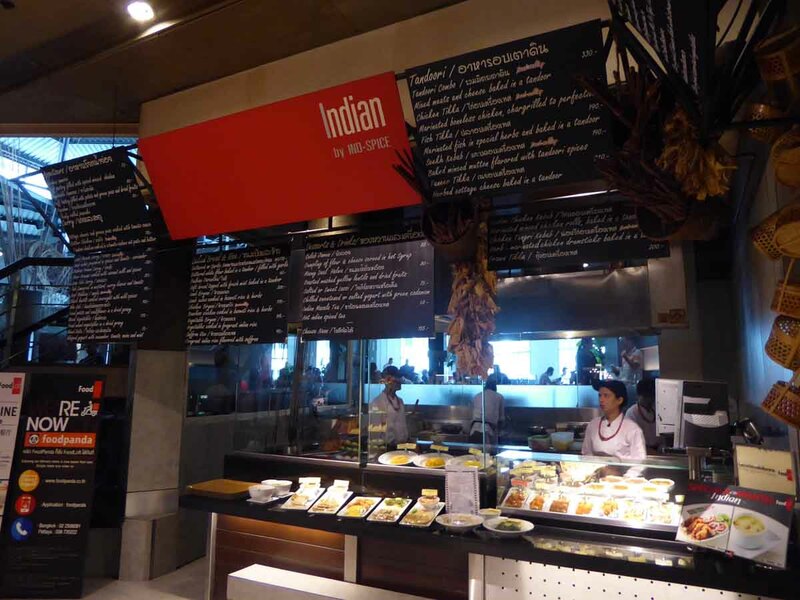 The food is high quality and a cut above normal food court fare though it’s a bit more expensive. Dishes range from 70-390 baht though most are 100-200 baht. Alcohol and a variety of soft drinks are served at the beverage station. Upon entering Food Loft you receive a credit card. You then browse the cooking stations and order your food by presenting your card to the station staff who will swipe your card and issue you a receipt. You then find a table in the dining area and hand your receipt to the waiter who will collect and deliver your food when ready. After finishing your meal, you hand your card to the cashier at the exit who will swipe your card to reveal the total of your bill which you can pay with cash or card. The dining area is large with a choice of seating style and some tables have window views. 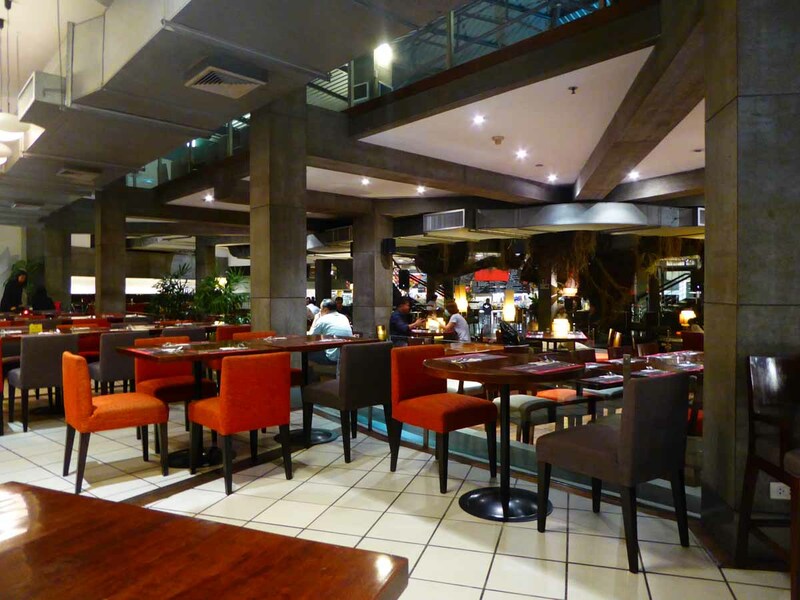 There is also a mezzanine level with lounge style seating but this is only usually open on busy evenings. There is live music on Friday-Saturday evenings in the form of soft jazz. 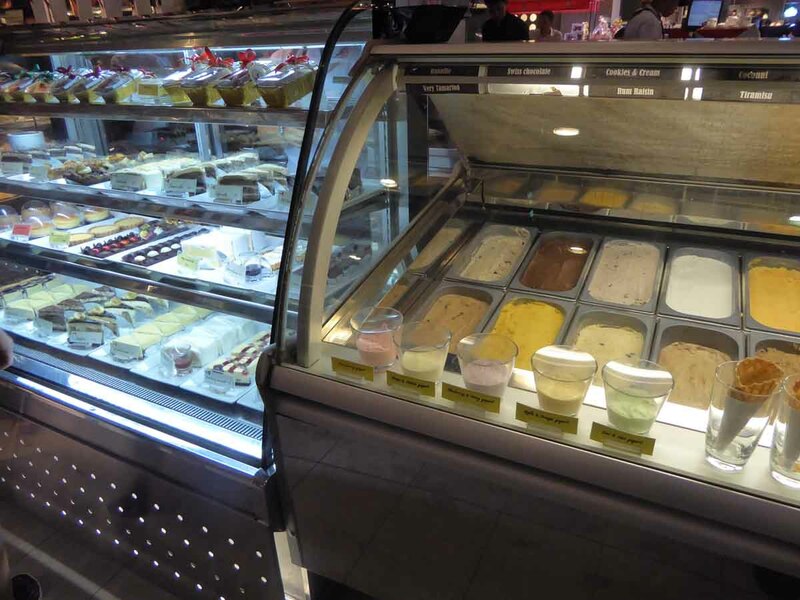 Food Loft is an excellent choice for couples or groups who want to eat quality food of different cuisines. There is another branch of Food Loft at Central World though it has less variety of cuisines than the Chidlom branch. Location: 7th floor Central Chidlom Department Store, Ploenchit Road, Bangkok. Getting There: BTS Chit Lom (exit 5). Tuba is a unique characterful bar and restaurant in the Ekkamai – Thonglor area of Bangkok which also doubles as a vintage furniture showroom. 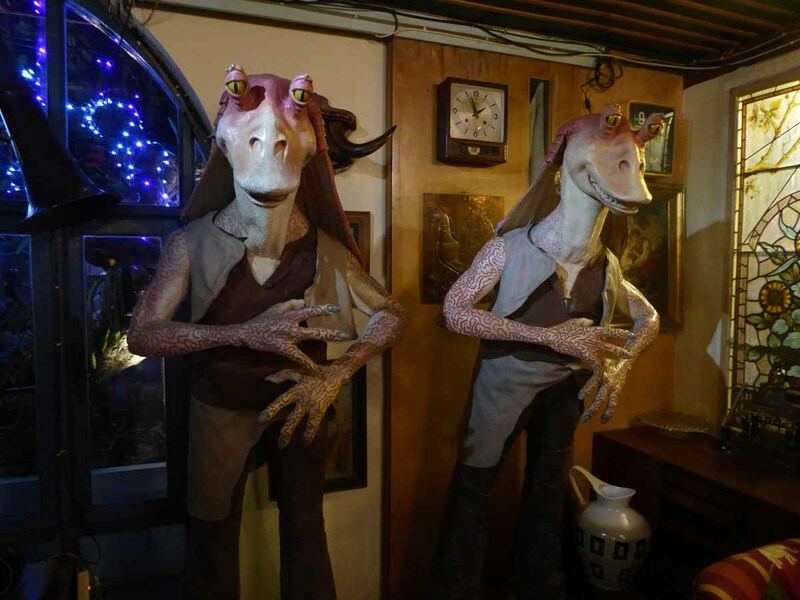 The whole restaurant is decorated with antiques, vintage furniture, and memorabilia mostly from the ’50s – ’70s which are also for sale. Tables are positioned in mini-open sided alcoves each furnished and decorated in retro style with its own distinct design with sofas, armchairs, low tables, lamps, bookcases, paintings and more. 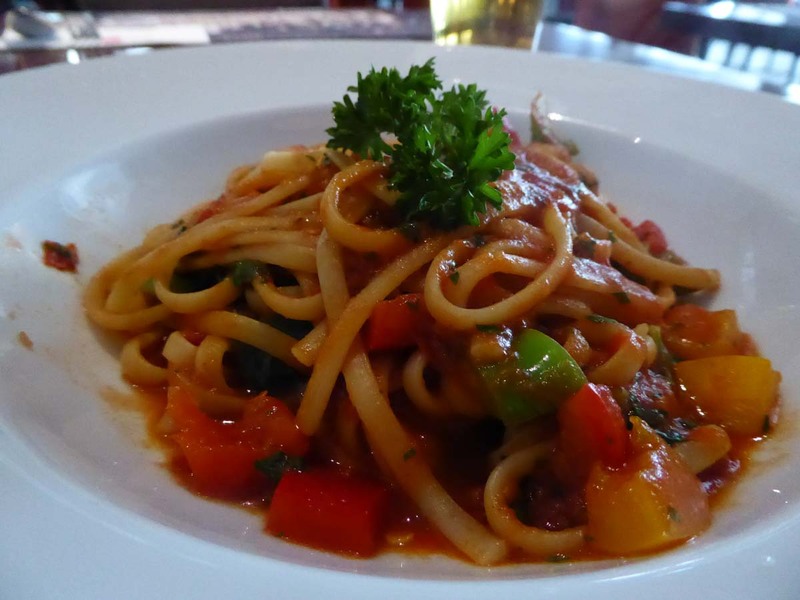 The extensive menu features a mixture of mainly Thai and Italian food with pizza a specialty. Prices are reasonable with salads 190-270 baht, fish 350-470 baht, main courses 250-750 baht, pasta 170-490 baht, pizza 300-450 baht, and Thai food 120-490 baht. There are also vegetarian options. The food is excellent. The bar has a great selection of European draft beers with Paulaner, Guinness, Stella, Leffe, Hoegaarden, and Boddingtons at 230-250 baht a pint as well as a large selection of bottled Belgian beers at 190-240 baht. Local bottles are 130 baht while the large selection of cocktails is 250-290 baht. There is a good wine selection with bottles from 950 baht. There is a daily happy hour from 17.00-20.00 with buy 2 get 1 free on beers and buy one get one cocktails. A 10% service charge is added to all bills. There is a bar area with a pool table, a varied but cool music playlist, and a small outdoor terrace. Good service and friendly helpful staff. Location: 34 Ekkamai Road Soi 21, Bangkok. Getting There: BTS Ekkamai (exit 1). Turn right into Ekkamai road and take a taxi to Soi 21. 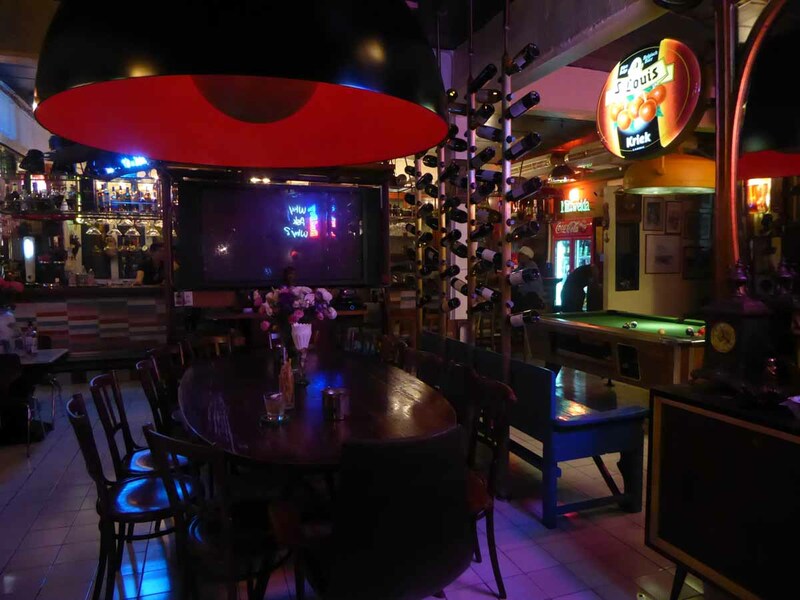 Villa Cha Cha is a restaurant and hotel on Soi Rambuttri in the Khaosan road backpacker district. The restaurant is always busy and buzzing. The massive food menu features a who’s who of Thai and Western cuisine including just about everything you can think of. 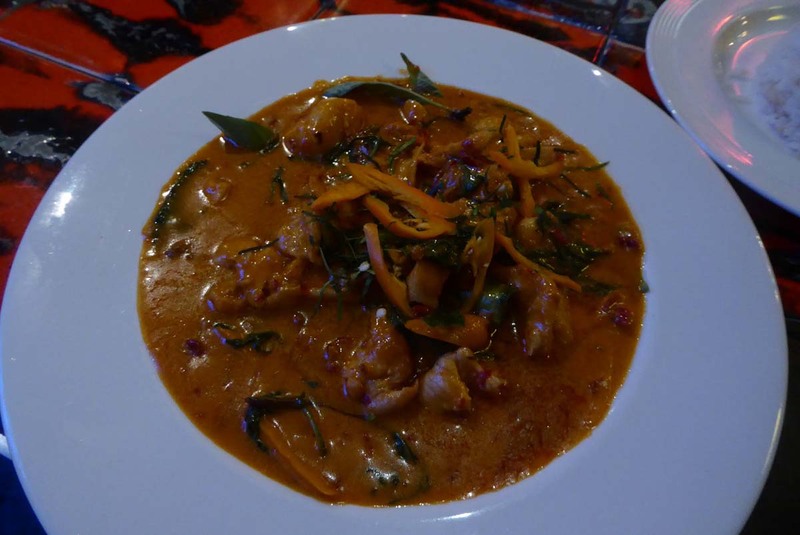 The Thai food is very good, spicy and authentic tasting and not just catering to a western palate. 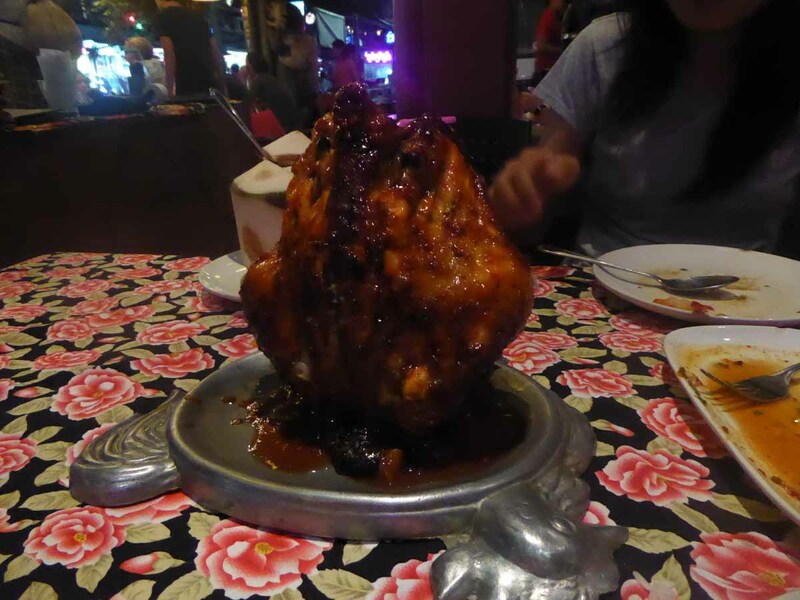 One outstanding item is the flaming chicken which is a large whole chicken spit roasted and flambéed at the table. You then have the option of carving it yourself using steak knives or returning it to the kitchen to be chopped up into pieces Thai Kai Yaang style. 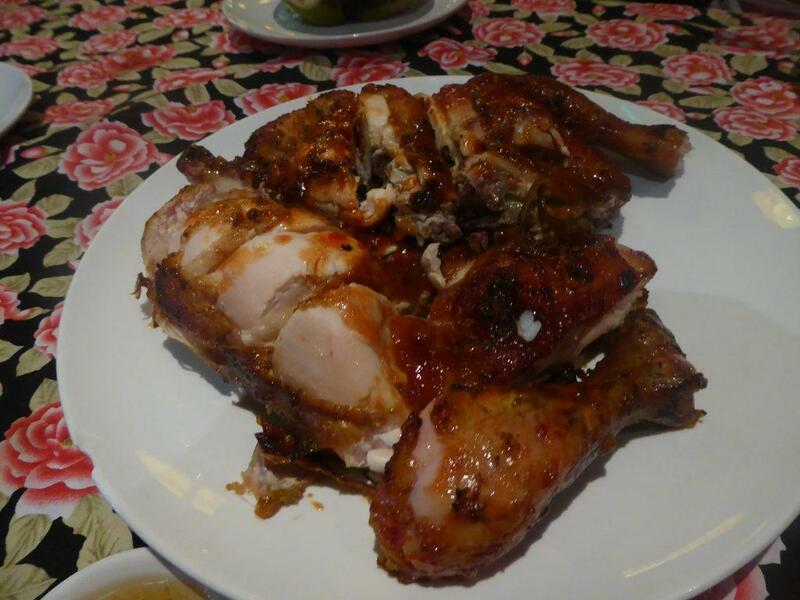 The chicken itself is super chunky and full of white meat unlike some of the skinny birds that get served up elsewhere. It comes at a price though (380 baht) but is worth it. 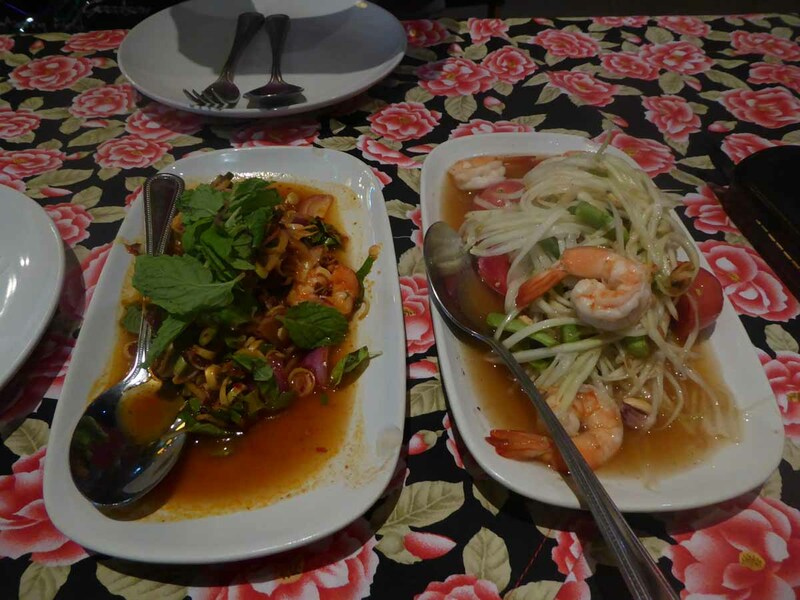 Other Thai dishes worth trying are the fresh shrimp Papaya Salad and the Pla Goong (spicy shrimp salad with herbs and chili paste) at 120 / 140 baht. Villa also has a massive drinks menu with large beers from 100 baht as well as cocktails. The same menu seems to be in use at many restaurants in Rambuttri road. Location: Rambuttri Road, Banglamphu, Bangkok. Getting There: Taxi to Rambuttri Road. 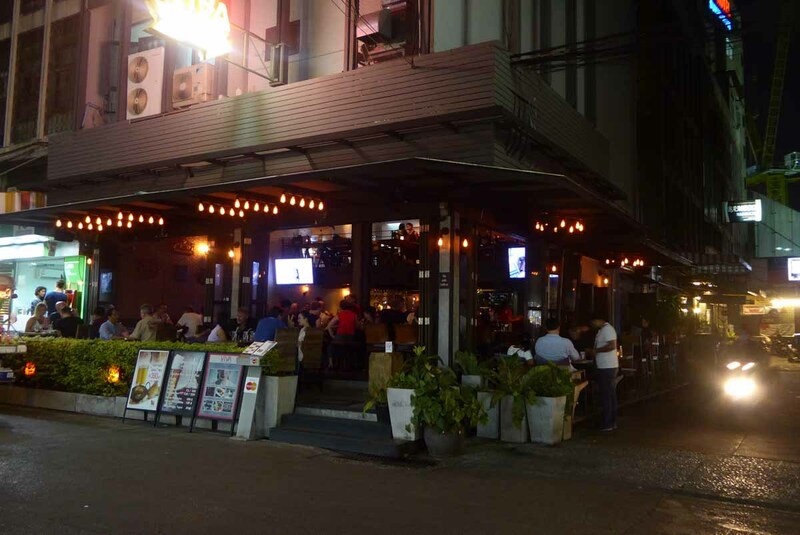 Viva is a Tapas bar and restaurant on busy Sukhumvit Soi 8. The restaurant is open air with a nice street side terrace and a mezzanine area overlooking the bar. Viva is popular and it’s often difficult to get a table by mid-evening. The extensive menu features fresh oysters, a selection of Mexican, Spanish, Japanese and Italian influenced Tapas plates, salads, pasta, pizza, burgers and a selection of meat and seafood mains as well as a full Thai menu. 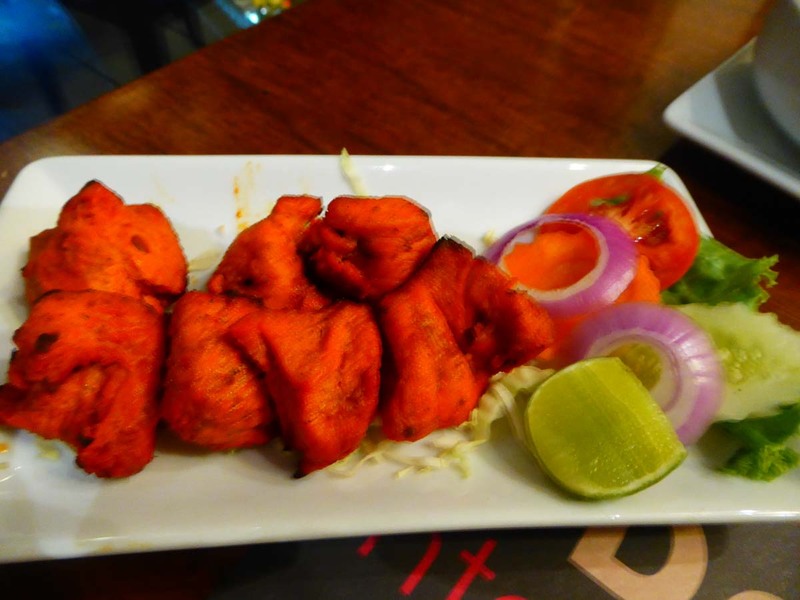 Viva is owned by another more upmarket restaurant called Monsoon which is just down the road and that is where most of the food served at Viva comes from. The food is excellent and reasonably priced. 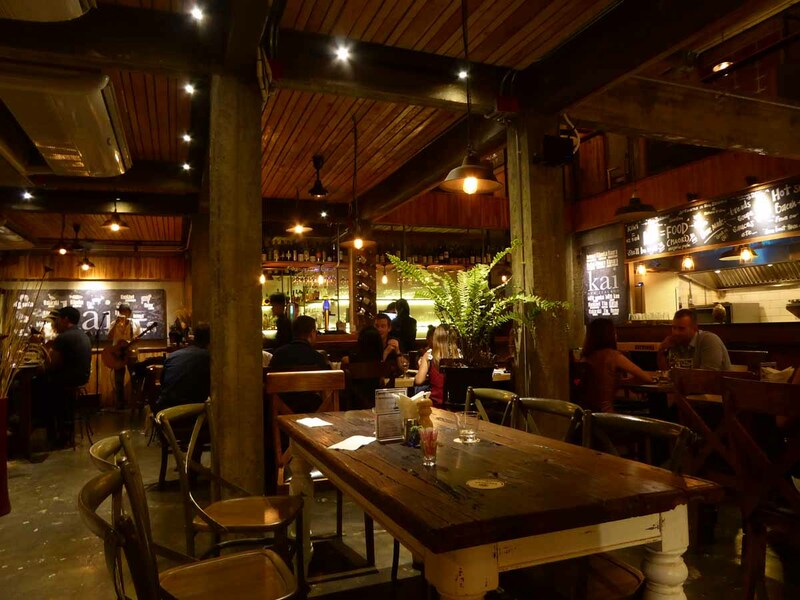 Tapas dishes run from 180-240 baht while mains are 320-790 baht, burgers 240-380 baht, pizza, and pasta 240-380 baht, and Thai dishes 180-380 baht. Alcoholic drinks are available at regular prices and there is an all-day happy hour on selected drinks. The clientele is almost exclusively tourists from nearby hotels. The restaurant has a nice location on a street corner and is a good place to sit and watch the world go by while enjoying a cold beer and some tapas. Location: 4/14 Sukhumvit Soi 8, Bangkok. Getting There: BTS Nana (exit 4). 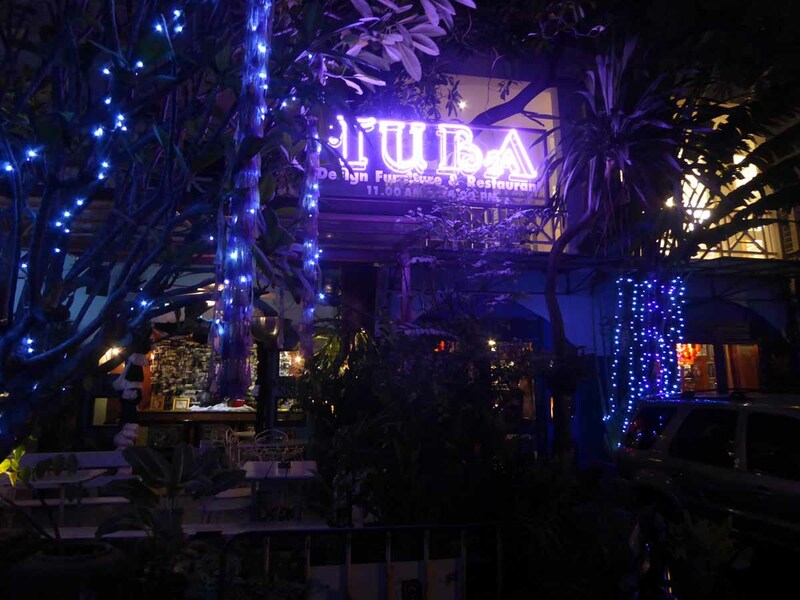 Wunderbar is a pleasant small cafe bar restaurant on Samsen Soi 2 near Khaosan road. There is comfortable sofa seating inside the bar and outdoor street-side tables on both sides of the quiet road outside. 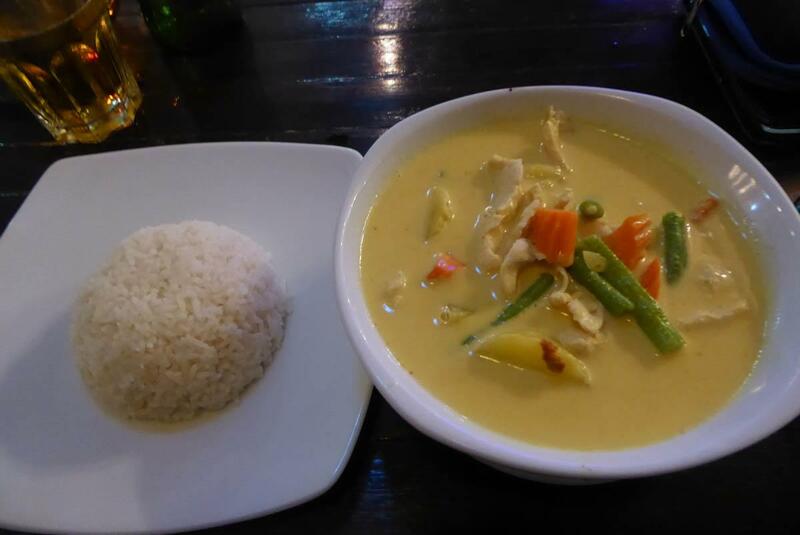 It has an extensive menu of Thai and European style food. 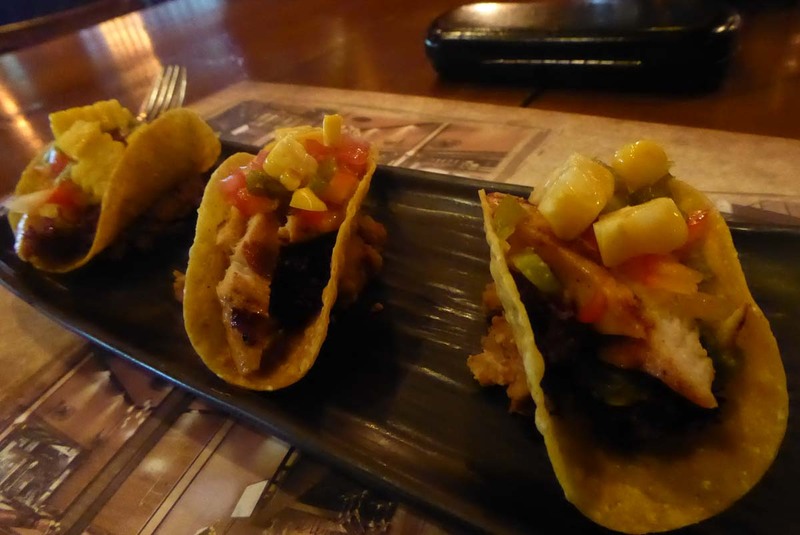 The food is excellent quality and reasonably priced. 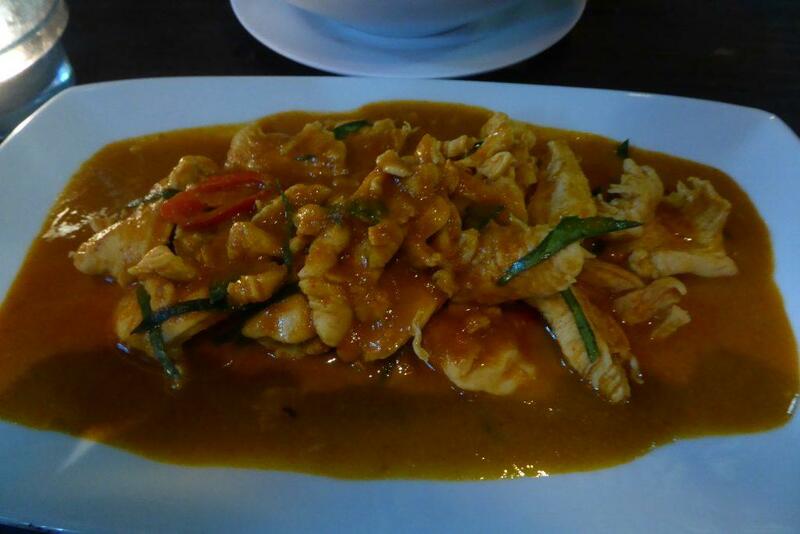 The Thai food is authentically spiced, tasty and served in good sized portions. The excellent pizzas are European style thin crust with a good selection of toppings. There is a full bar with beers from 80 baht and Beer Lao at well-priced 90 baht along with a good selection of cocktails. There is a nightly happy hour from 18.00-20.00. 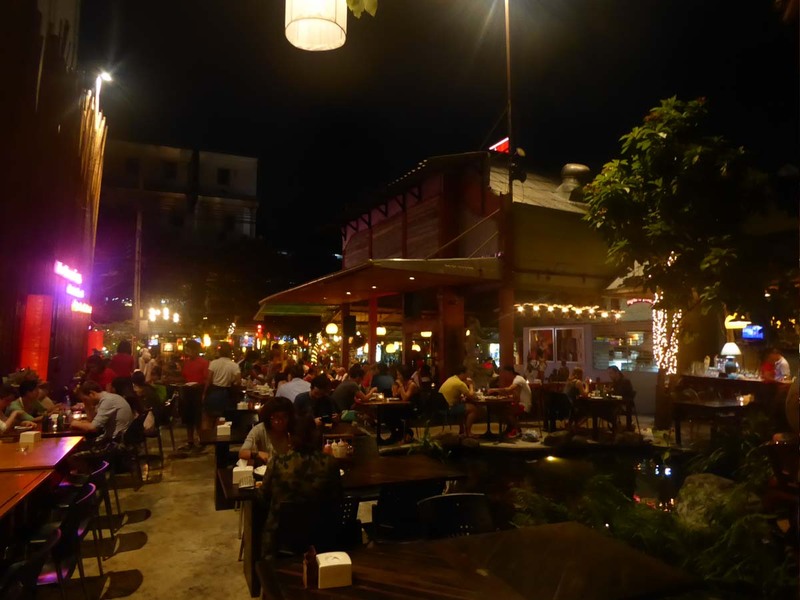 Wunderbar is one of the best dining spots in the Samsen area as well being a good place for a quiet late-night drink and serves great breakfasts. Opening Hours: 08.00-01.00 Monday-Saturday. 08.00-24.00 Sunday. 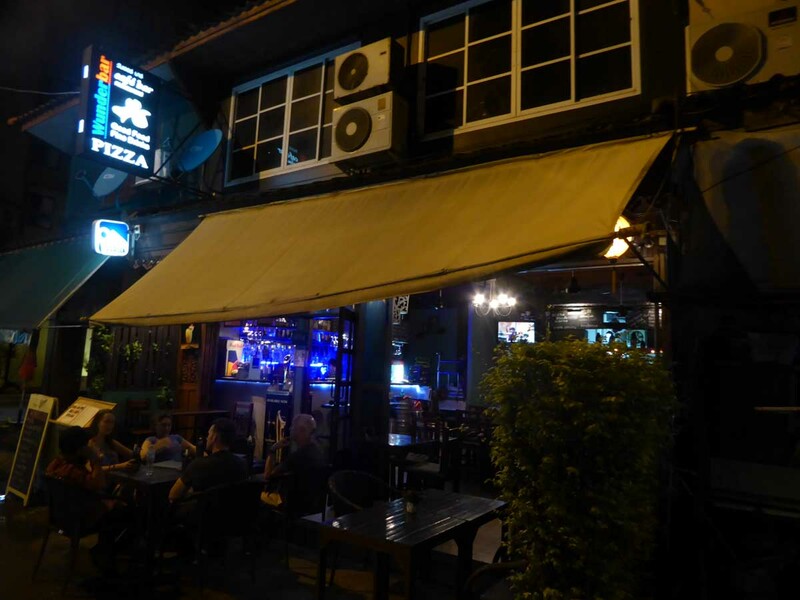 Getting There: Wunderbar is a 10-minute walk from Khaosan Road. 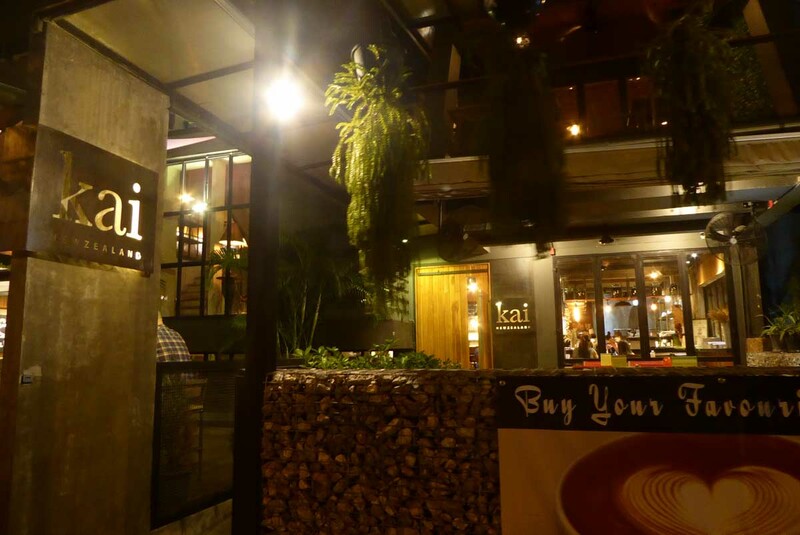 Kai is a smart upmarket New Zealand owned restaurant on Sathorn Soi 12 serving up top quality modern New Zealand cuisine in a pleasant setting & atmosphere. The restaurants décor is warm and inviting sporting a modern industrial look with light wood furnishings and hanging ferns. There are a pleasant outdoor terrace and an upstairs balcony both with comfortable seating. 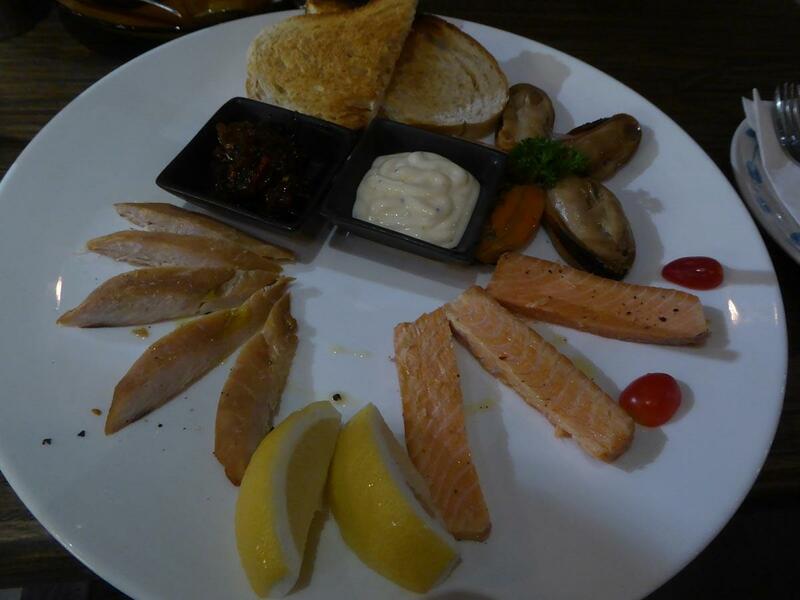 Most of the ingredients are imported from New Zealand including beef, lamb, venison and an extensive range of seafood. Most locally sourced produce is organic. 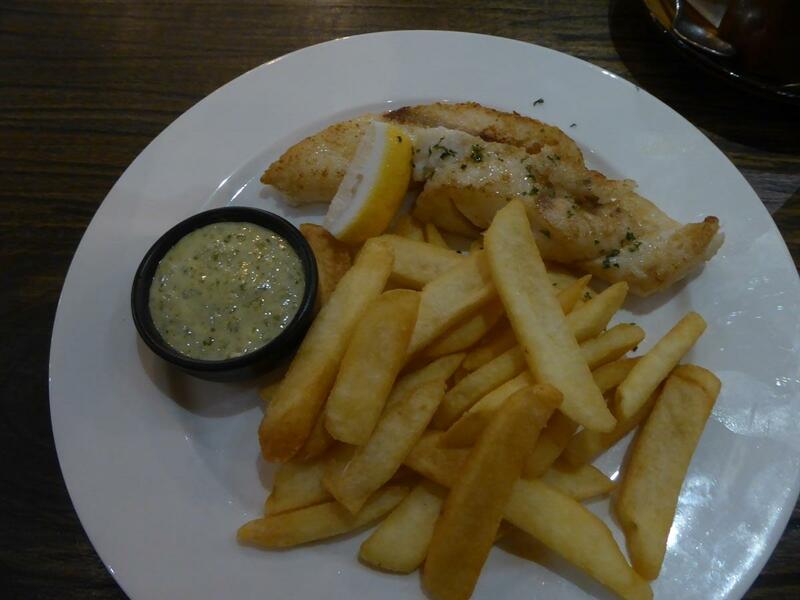 The menu features breakfasts, salads, soups, burgers, sandwiches, pizzas, main courses, and desserts as well as Kai’s famous fish n’ chips using imported NZ fish that can be ordered either pan fried, deep fried (crumbed or battered) or steamed served with a choice of sides and sauces. As many locals will testify it’s the best fish n’ chips in Bangkok. However, it’s not cheap at 450-750 baht (depending on the fish). 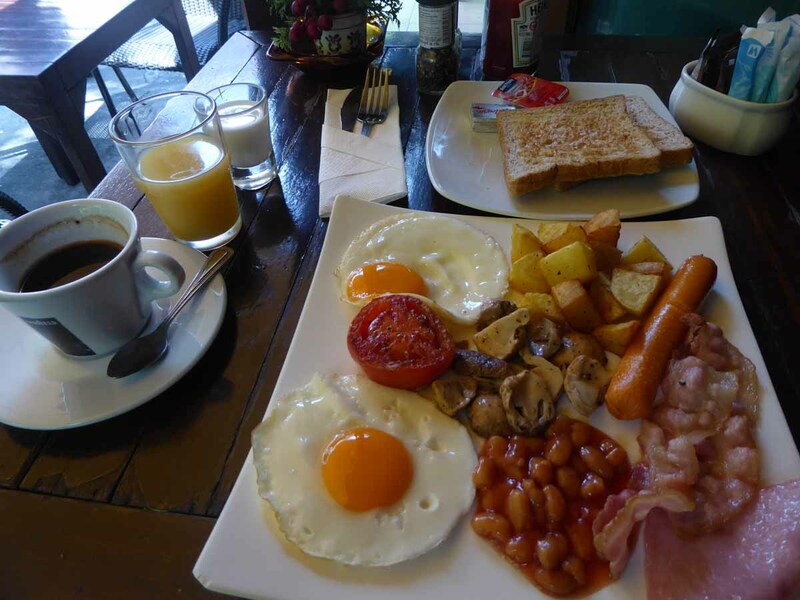 The rest of the menu has similar above average prices with mains 320-890 baht, breakfasts 120-490 baht, steaks 600-950 baht, burgers 495 baht, pizza 320-590 baht. There is a weekend roast on Saturday-Sunday from mid-day for 590-690 baht as well as a daily kid’s menu with smaller portions and prices. The bar specializes in Kiwi wines, beers, and ciders with wine from 250 a glass, and NZ craft beers on tap from 220-380 baht. There is live acoustic music nightly. Location: 142/22-23 Sathorn Road Soi 12, Bangkok. Opening Hours: 11.00-24.00 Monday-Friday, 08.30-24.00 Saturday-Sunday. Getting There: BTS Chong Nonsi (exit 1). Turn right into Sathorn Road and right again into Soi 12. Kai is on the left-hand side.